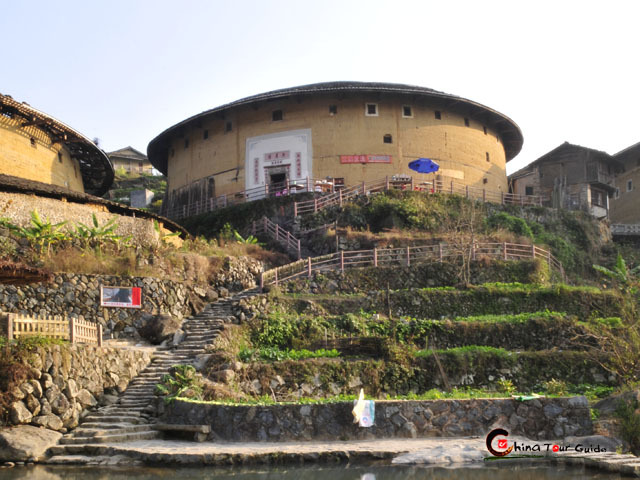 Fujian Province has developed a wide transportation network, including roads, railways, airlines and water transportation, offering easy connections with other parts of China and the World. As of 2012, there are 54,876 kilometers (34,098miles) of highways in Fujian, including 3,500 kilometers (2,200miles) of expressways. Railways connect Fuzhou and Xiamen with the national network. 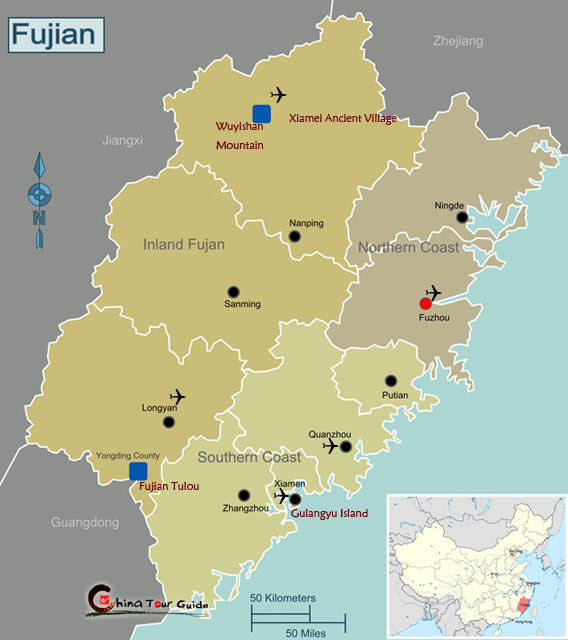 As for air transportation, Fujian has 5 major airports including Fuzhou Changle International Airport (FOC), Xiamen Gaoqi International Airport (XMN), Quanzhou Jinjiang International Airport (JJN), Nanping Wuyishan Airport (WUS) and Longyan Liancheng Airport (LCX). The former three airports serve both domestic and international flights (incl. Direct Flights). 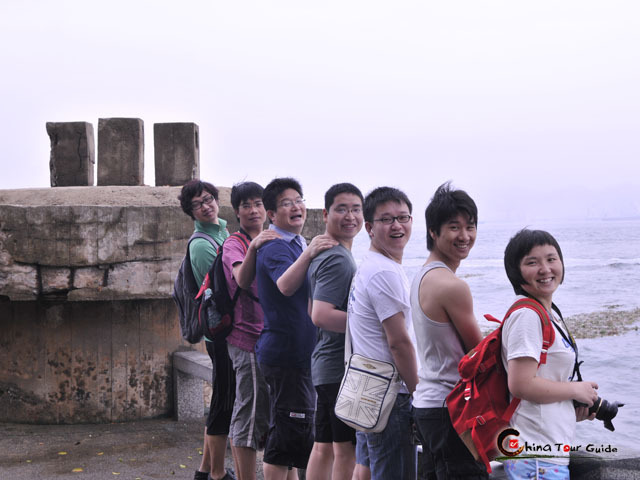 Fujian also boasts several world known ports, including Fuzhou, Xiamen, Quanzhou, Zhangzhou and Putian, which have long been engaged in international trade. 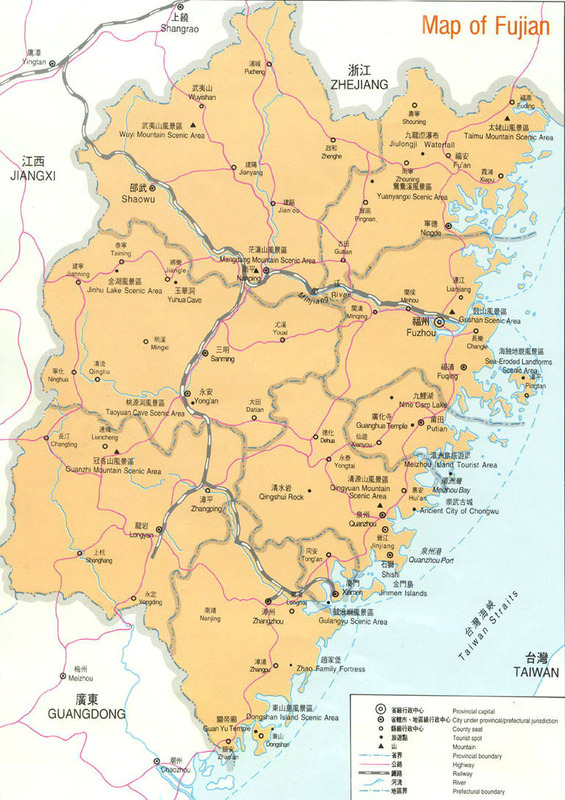 Fujian is also connected with other regions (Hong Kong, Taiwan & Macau) as well as other countires by its three international airports. Taichung Airport Tue. Thur. Fri.
Macau Airport Wed. Fri. Sun. Taipei Songshan Airport Mon. Wed.~Sun. Taichung Airport Mon. Fri. Sun. Kaohsiung Airport Mon. Wed. Thur. Fri. Sun. Macau Airport Mon. Thur. Sat. Bangkok Suvarnabhumi Airport (Thailand) Tue. Thur. Sat. Sun. Kuala Lumpur International Airport (Malaysia) Mon.~Sat. From Xiamen: Tue. Fri. Sun. From Jakarta: Mon. Wed. Sat. From Xiamen: Mon. Wed. Fri.
From Amsterdam: Tue. Thur. Sun. Kuala Lumpur International Airport (Malaysia) Mon. Wed. Fri. Sat. Kansai Airport (Japan) Mon. Wed. Fri. Sun. Quanzhou Jinjiang Airport Manila Airport (Philipphines) Mon. Thur. Sat.